I've got a lot of these. Having built up quite a collection of comics over the years, I've been thinking lately about selling a chunk of them to clear-up space and start to pay on student-loans, bills, etc. Because I have such a mixture of comics I probably have a lot of issues that would go straight to the dollar bin for every one I have with some value. 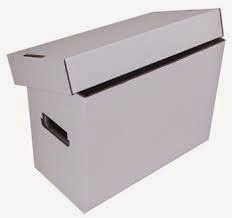 Therefore, lugging a bunch of boxes to comic shops and making them sort through my mess of comics to find what they want would be unpleasant for everyone, and I came up with a better idea--cataloging. I did some research on the internet and decided I would use the Collectorz comic cataloging software as I was able to try a free demo of it and found it was complex enough to record all my stuff but not overly-complicated to a point where I would have no clue what I was doing. Using various filter-options in the program I was able to assign groups of "boxes" which allowed me to figure out exactly which comic was in what box if I wanted to grab it later to sell (and of course I marked the boxes so I would know which one was Box 2 or Box 3, and so forth). I figured this was a good idea as actually taking all the comics I have here out of the boxes and trying to make an alphabetical order out of them would have quadrupled the amount of time it has so far taken me to record everything. This program has been serving me pretty well. Since getting the program set-up for my needs I have lately been cataloging my comics I have here in Missouri and feeling a mixture of joy and annoyance. I feel happy when I stumble across a comic I remember really liking for some reason, or see something I have that now apparently has gained some value. However, I get annoyed at the actual process of scanning bar-codes and manually typing in the occasional comic the software doesn't recognize (like some of my really obscure independent comics)--so yes, it is a mixture of emotions. I have pulled some of my favorite comics to the side for re-reading, and marveled at how some comics I remember being excited for turned out to be horrible. What is interesting is that much of the comics I personally treasure and wouldn't want to part with may be quite low in value, and many comics I lack a strong feeling about have gone-up in value. There are plenty of comics I dislike which are worth nothing of course, and some with a bit of value that I also enjoy, it just seems more often than not my favorites are not that popular with anyone else, or so many copies exist there is little value to them. 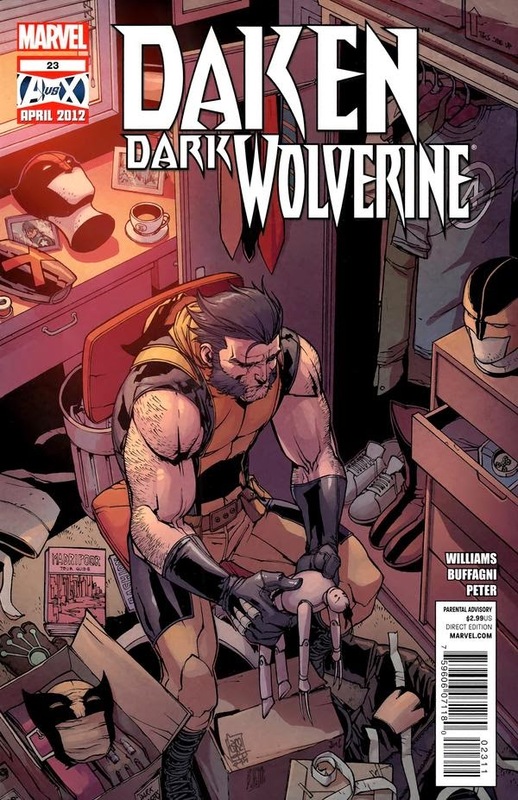 even if I doubt most people cared about Daken's comic. In my cataloging process I have not found anything of immense value, but just being able to see what I have on a handy computer screen is useful, and allows me to try and sell the items worth at least something. Many of the ones I have here in Missouri are also more recent purchases, with more comics resting at my folk's house in Upstate New York and just waiting to be brought to my home out here. When I start recording all of those comics then I'll truly have everything noted down into a tidy list I can give to people interested in buying my comics to survey and find what they want. Still, getting everything I have here in Missouri recorded is a good step and allows me to start already unloading some of my comics in the hopes of getting enough scratch to make a dent in various life-expenses. Plus I get to read some of my favorite comics again and keep them close for repeat enjoyment, so things are working out pretty well I would say.